For those of you who are not aware, Stand Down provides many much needed services for the homeless vets of San Diego. 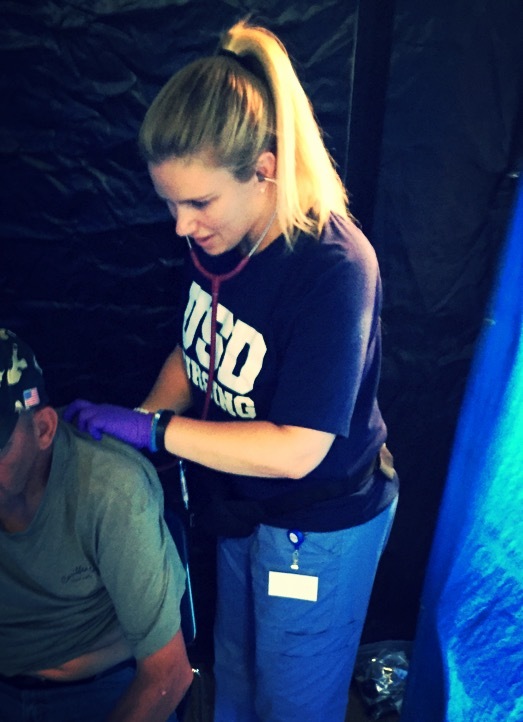 There were numerous VA Physicians, RNs, NPs, Nursing Students, and Paramedics, performing medical assessments. 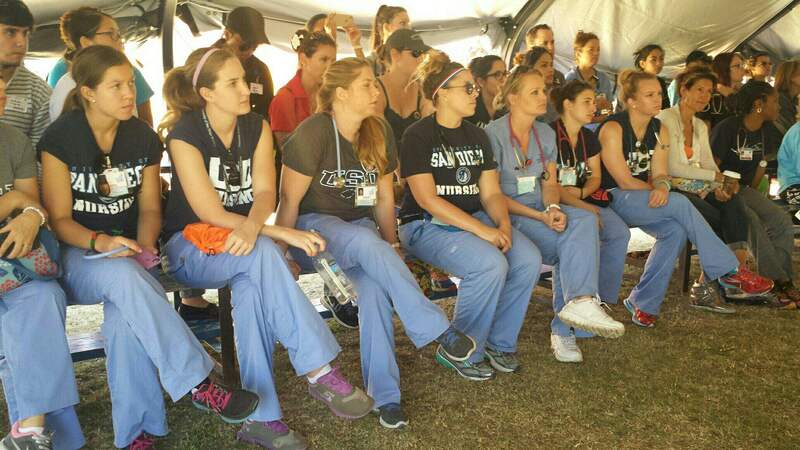 There was an optometry tent where eye exams were performed and glasses distributed. There was a counseling tent for psychiatric evaluation. Dentists did cleanings and tooth extractions and there was a podiatry tent for foot problems. The pharmacy filled hundreds of prescriptions and the lab performed various blood tests including screenings for HIV and Hep. C.
An alternative medicine area incorporating acupuncture and massage treatments was also available Homeless vets received clothes, food, books, community referral and answered questions about employment and other VA benefits. Lastly, there was a mini “court” set up with lawyers and judges who provided assistance regarding minor traffic offenses and other minor infractions. 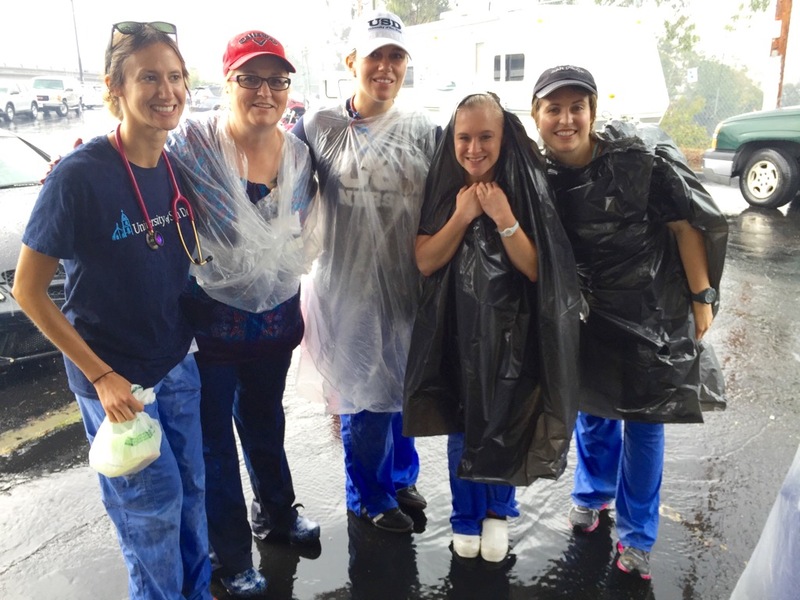 What a terrific opportunity for MEPN students to see Public Health in action . 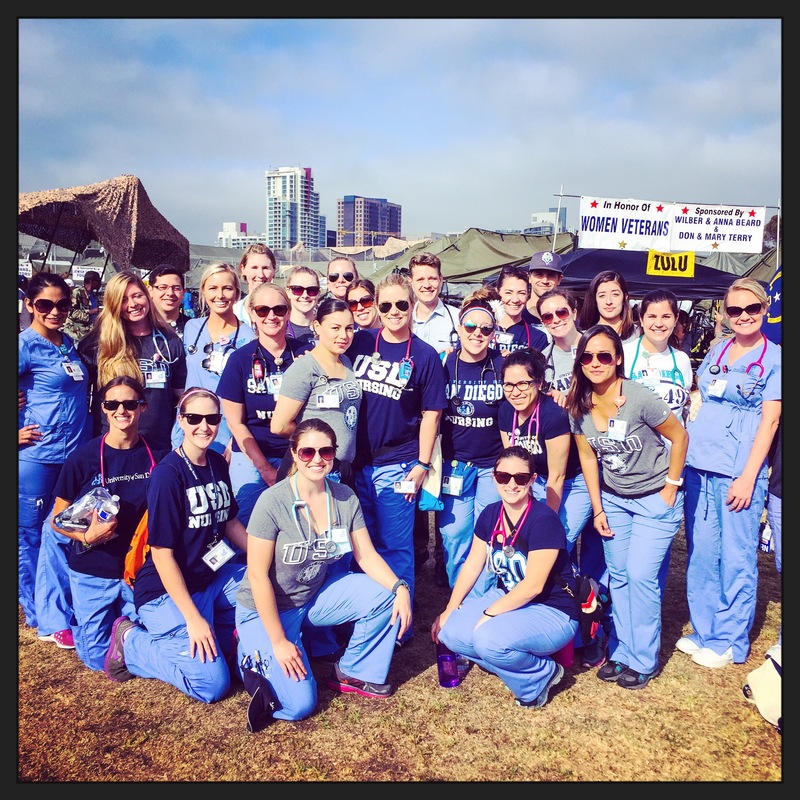 Many thanks to Professors Lisa Arnold and Peggy Mata for accompanying and mentoring the MEPNs at Stand Down. Photos courtesy of MEPN students, Diana Appleby & Kayla Dennis. This entry was posted in 2014 Cohort info., Uncategorized. Bookmark the permalink. This is awesome! I want to do this in the future!